The six Section Managers, together with the Chair, Secretary/Treasurer, Past Chair, Test Materials Advisor and Membership Chair, form the working group that runs the affairs of the Section. Informative and interesting programs are the backbone of the Section, and the most important responsibility of a Section Manager is to arrange at least one meeting program each year. At a Section planning meeting held shortly after the new board takes office on July 1, the Chair, who in the Detroit Section also functions as Program Chair, will discuss program ideas with Managers and set up a schedule of meeting topics and dates and the manager responsible for each. Managers may be assigned to coordinate meetings even if the program topic is not in a Manager’s particular area of specialization. Appropriate assistance should be sought from, and given by, other officers and Section members during the meeting planning process. Arrange for the speaker(s). Make sure they are aware of SMPTE guidelines. Obtain a summary description of the program and a biography of the speaker. 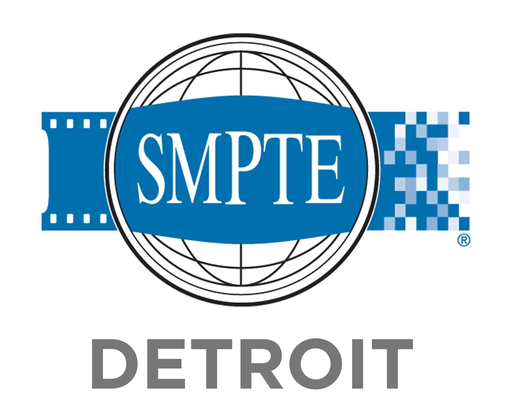 SMPTE provides a form for this purpose. Arrange for the meeting venue and refreshments. Get a map to the location and check details such as parking, access and security. Determine A/V requirements and arrange for them if needed. Locate a restaurant in the near vicinity of the meeting venue and make reservations for the managers’ dinner. Make sure the speaker knows that he/she is invited to dinner as a guest of SMPTE. Communicate all details of the meeting to the Secretary/Treasurer in time to be included in the meeting notice. Keep the Section Chair informed of details and status. Assist with setup, hosting and cleanup at the meeting. Write a brief meeting report describing the highlights of the technical program for inclusion in the Secretary/Treasurer’s meeting report, which is published in the SMPTE Journal. Managers will also be asked to participate in planning of any special events, such as regional conferences or joint meetings. Dinner prior to SMPTE meetings is open to all and is normally “Dutch Treat”, meaning the check is divided equally among those attending. The speaker is included in the tally and his/her dinner is paid for by SMPTE, through the Secretary/Treasurer. Select a restaurant that is close to the meeting venue, can provide a fairly quiet place for a party of 12-15, and has a reasonably-priced menu with a variety of items. If in doubt about restaurants in the area, ask your contact at the venue to suggest a place, or ask another officer or manager for ideas. You might want to ask the restaurant to fax you their menu, visit its website, or even visit in person, to help you decide. Initially make the reservation for 12, give your name and phone number, and have them note the group name, SMPTE, on the reservation. Tell them that the count will probably vary and that we may pick up a couple more (or a couple fewer).